To celebrate the uniqueness of today’s total solar eclipse, I decided to create an essential oil blend to capture some of what the experience was like for me. I woke up feeling refreshed, despite having moments of sleeplessness last night. Our cat Tyrian had been acting unusual and I spent part of the wee hours of the night trying to figure out what he wanted. It seems he wanted our younger cat Tessie’s company, and wanted his treat ball filled. Once those two things were accomplished Tyrian seemed satisfied and and I was able to get back to sleep. That was the second time I woke up. I’m not sure what woke me up the first time. It was foggy out (for what seems like the first time in months) and I took in the view of the conifers to the south surrounded by thick mist. I spent part of the morning trying to decide whether I should create some kind of pinhole viewing device, or just smudge with white sage and meditate. I decided to do a little smudging and got together my supplies (grumbling to myself at not being able to find the lighter that was supposed to be in a kitchen drawer, I settled for matches that were in the candle box) and then looked for the best window to create my pinhole projector. I haphazardly stuffed a thick, opaque piece of decorative paper into a high east-facing square window and after arranging it a bit to have the tiniest bit of light shining through, it was projecting the desired spot of light onto the floor. I moved our decorative screen so that the projection shone through the frosted white paper. The eclipse had already begun, and the fog had burned off, revealing a pale blue sky and the sun was starting to cover the trees. I opened a couple of windows and the cats stuck their noses into the screens to smell the air. I tuned into NASA’s page for live coverage of totality, since we weren’t going to get that here in Kitsap. I looked around and noticed all of the crescent-shaped lights that filtered in through closed window-blinds and took some photos. This got me inspired and into a state of wonder. I was observing and living in the moment. As the eclipse reached its peak for our area, I noticed the light outside was dimmer. It never got dark, but was more like the kind of dim when a heavy raincloud covers the sun. The air was still and it was quiet out except for a barking dog and occasional screech of tires (which in itself is an unusual sound in midmorning here). Watching live video of totality for the first time, I felt that choked up emotional feeling rising from my chest to my throat, similar to the wave of emotion I experienced at my first dance performance. As the light returned I noticed a couple of chickadees and nuthatches, flitting to and from the bird feeders, and the crescent shapes in the shadow of a tree on our fence. On a sunflower I noticed a bee and a strange metallic green insect sitting very still, as though asleep. I sat down with my feet in the sun and felt the heat go from barely noticeable to warm. I couple of hummingbirds visited the patio feeders and I snapped a few photos. One flew closer to examine me as I sat as still as I could and watched. The cats meowed and trilled from the windows – they wanted to go outside because I was outside. I went back inside to make breakfast, and returned to the sun soaked patio to enjoy a few more moments of this unique morning, savoring my leftover orange-vanilla challah french toast in birch syrup, and turkey sausage. I wanted to start creating my essential oil blend while I was still filled with the emotions from the eclipse. I chose three oils that remind me of the August sun: clove, red mandarin, and frankincense. Then I chose three oils that remind me of aspects of the moon: jasmine, palmarosa, and vetiver. I added each drop by drop, smelling at each interval, adding more of some of them to get the right balance and feel. It needed something else to enhance the feeling of wonder, and I reached for my neroli. The effect of adding this oil was like lighting an orange colored candle. I decided that was just what it needed, and set it aside to revisit later. 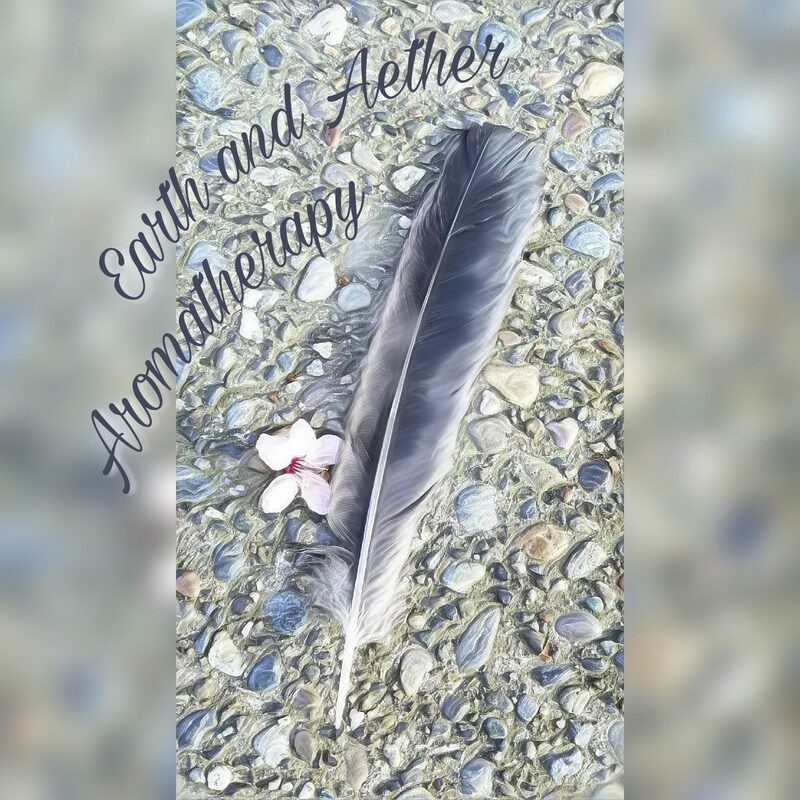 The essential oil blend I created feels to me like late summer, anticipation, the combination of stillness and excitement, mystery and wonder. Though the type of blending I usually do is for specific therapeutic purposes, this is the first of experimental blends made to celebrate a special occasion, and to capture a particular feeling. I plan to add it to a carrier oil and wear it when I need some inspiration.